One of the most critical aspects for performing a manned mission to Mars will be the space vehicle's propulsion system. 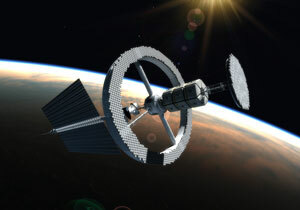 To minimize the crew's physical degradation and exposure to hazardous galactic radiation, this propulsion system must be able to complete the trip in a relatively short time. Other requirements include moderate size and the ability to produce large values of specific impulses and thrust. The best propulsion system currently available is nuclear fusion. This method produces impulses of 130,000 seconds, compared to nuclear fission at 950 seconds and chemical propulsion at 450 seconds. 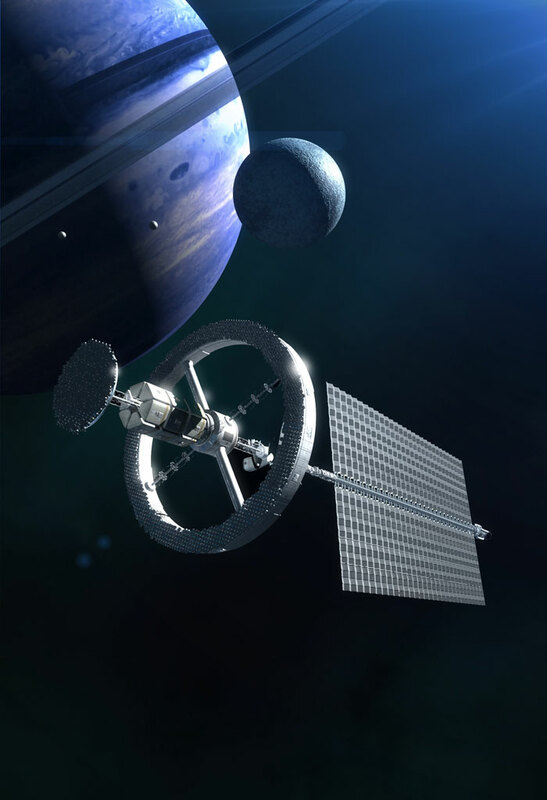 A space vehicle using a nuclear fusion system could complete a round trip to Mars in months rather than years. Marshall Space Flight Center's (MSFC's) Gas Dynamic Mirror (GDM) system is an example of a magnetic mirror- based fusion propulsion system. The Center maintains this system in steady state by injecting particles in the region of the homogeneous magnetic field to effectively balance the plasma loss through the mirrors. The GDM's design is relatively simple, primarily consisting of a long slender solenoid that surrounds a vacuum chamber containing plasma. The bulk of the fusion plasma is confined by magnetic fields which are generated by a series of toroidal-shape magnets in the central section of the device. Stronger end magnets called mirror magnets prevent the plasma from escaping too quickly out the ends.